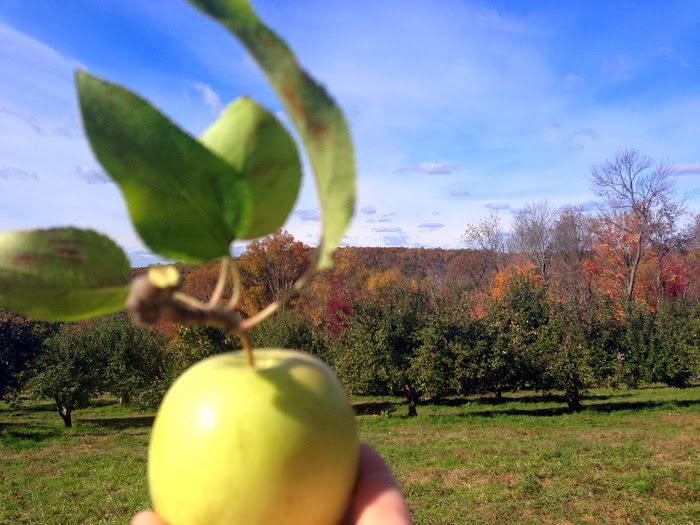 This weekend I spent an afternoon at Harvest Moon Farm & Orchard with some friends. 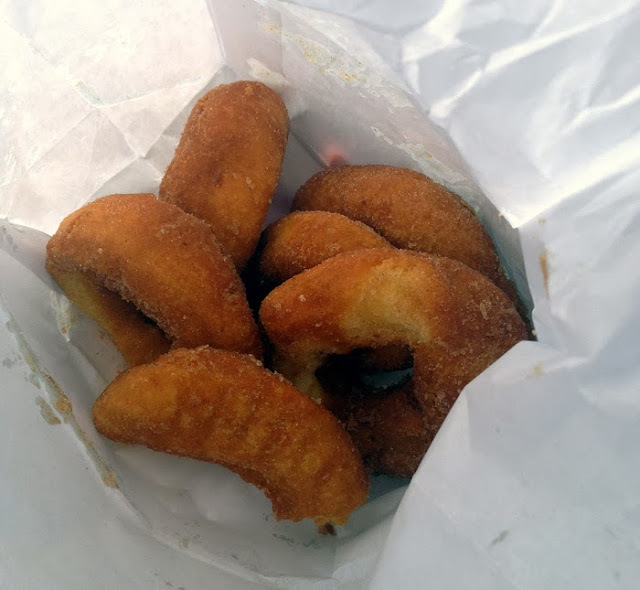 While we were disappointed that most of the apples had already been picked from the trees, the hot cider doughnuts more than made up for it. The orchard was selling over a dozen different varieties of apples that they harvest, and it occurred to me that I was clueless about the differences. Usually when I'm picking up apples for baking, I go straight for the Granny Smith and ignore the rest. But in the middle of a room packed full of farm fresh apples, that seemed like a waste. Luckily the orchard had a cheat sheet of the apples they sell and their recommended uses. So I started there and did some further research about apple varieties. What I've learned is while most apples recommended for baking pies will also work for general baking (cakes, breads, etc. ), it doesn't work the other way around; there are apples you can bake with that aren't specifically ideal for baking pies. As for cider, you want to juice a mixture of apple varieties for a balanced result, otherwise your cider could be too sweet or too acidic. 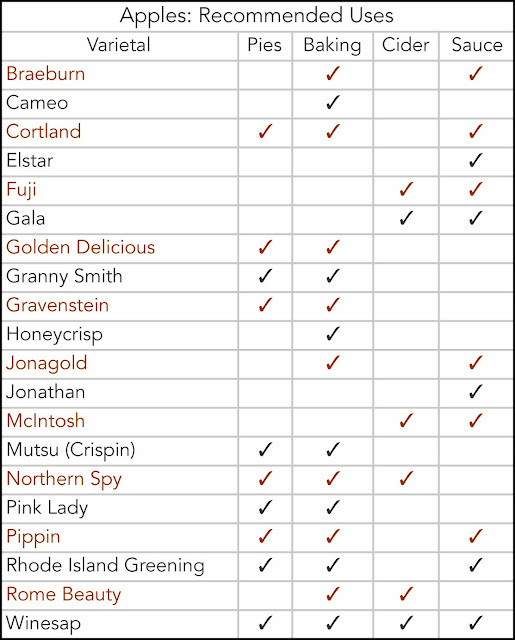 If you're like me, there's no way you'll remember all these different names of apples much less recall their best uses when you're at the market. So to make it easier, I've combined the information I've gathered into the below chart. Please keep in mind that as cooking isn't an exact science, this is meant to serve as a guideline and not an exact rule. If you have a type of apple you love for a certain recipe, please share! I saved this image to my phone so the next time I'm at the farmers market I don't come home with more Granny Smith (sorry, ladies). Hopefully this will be helpful in your fall baking as well! PS: If you're in the NYC area, I highly recommend you sign up for the One Girl Cookies Apple Pie Baking Class on November 14. I've attended several of their classes, and they are so much fun (more on that later). Plus you get to bring home what you bake!